Have you used a Playdough Launcher? It’s that Camp Grandma time of the week for me. Evan’s summer vacation days are numbered and he will be back in school in about 3 short little weeks. Where oh where does the time go? Today my little camper did not really want to partake in any of the activities I was suggesting for him. We painted some markers for the garden and we’ll finish those up tomorrow. He really wasn’t interested in anything else except what time we were going swimming. I was working on organizing my sewing and crafts shelves, and Evan got out the PlayDough. About 15 minutes after he got started in the kitchen I went to see what he was up to. It was a little too quiet for these Grandma ears. I walked into this. Evan had taken each of the colors he has, I think there must be seven or eight, and rolled it into a big ball. They looked like dumplings! Then he got out the plastic basket, and the soup ladle. This is a very serious sport people! 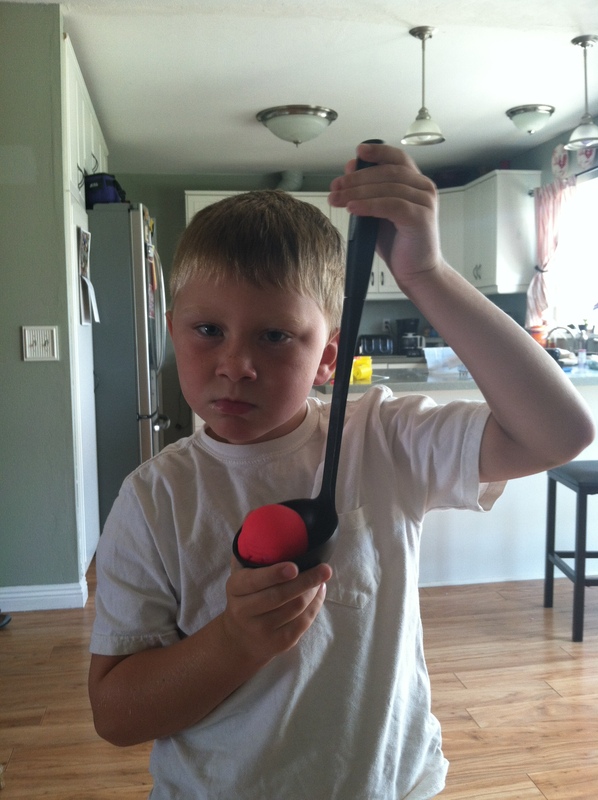 According to the PlayDough Launcher aficionado, you take the ball of PlayDough, put in on the spoon, and launch it to the other end of the room to find out how far it will go. Oh and if it goes under any furniture it doesn’t count. A simple but entertaining way to spend the morning, and so creative to boot. I was cracking up when he made this serious face for the picture. And for those of you out there who have boys, it’s just a “boy thing”. Build something and see how it works! 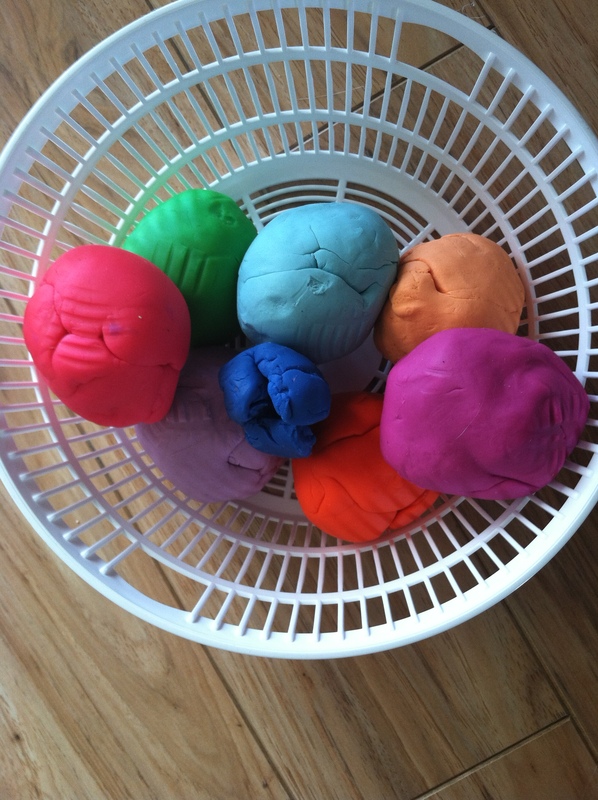 The next time you’re bored and looking for something fun to do just get out your PlayDough.